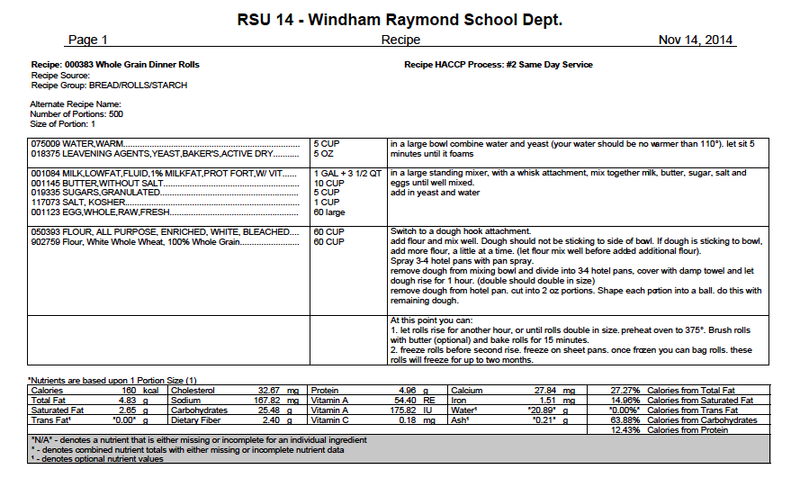 Want to spiff up the food art on your school cafeteria lines? 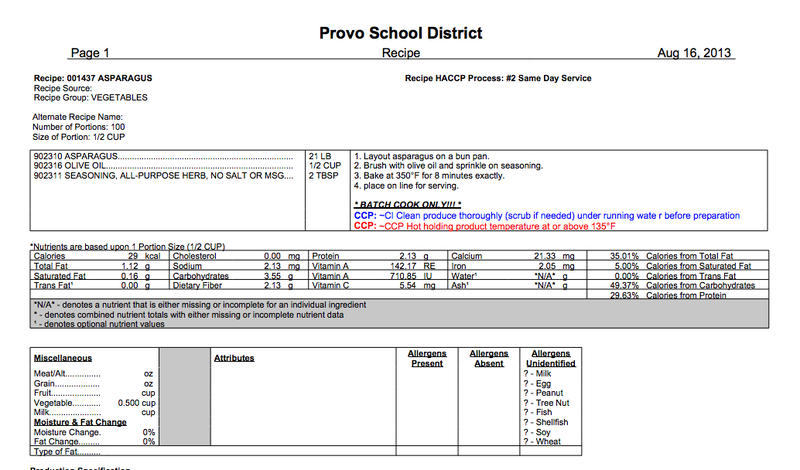 We have one simple tip for you: Follow the award-winning Provo (UT) School District Child Nutrition Services on Facebook and Pinterest. 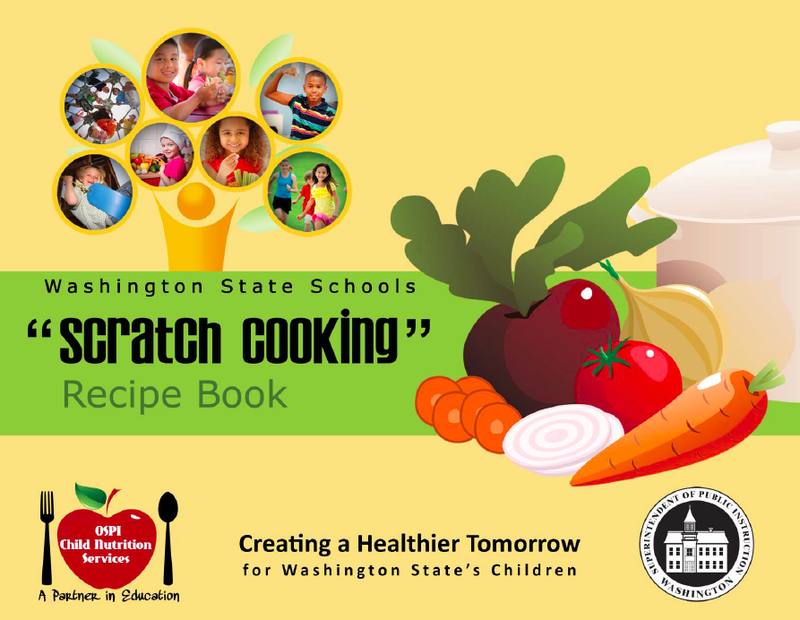 Known by their slogan ITSMeals at Provo School District, this district does an amazing job of using food art to make their delicious, nutritious meals even more appealing to their customers. 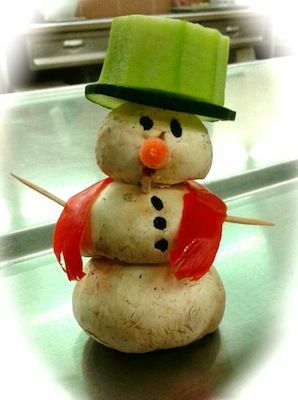 This fresh mushroom snowman showed up on the lunch lines last week at Dixon Middle School. The scarf is a veggie too, tomato skin! 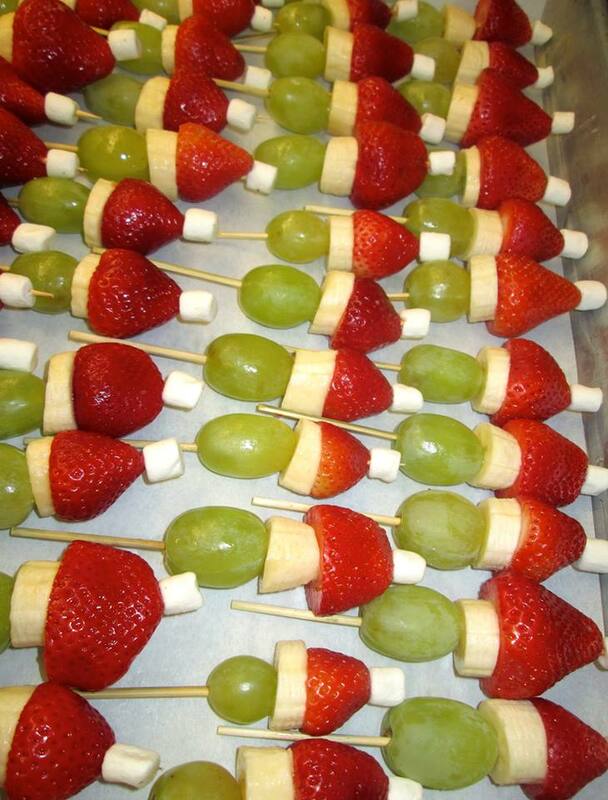 While ITSMeals at Provo School District features plenty of more time-consuming food sculptures, like pineapple alligators and melon witches at Halloween, much of their food holiday is quick and easy. 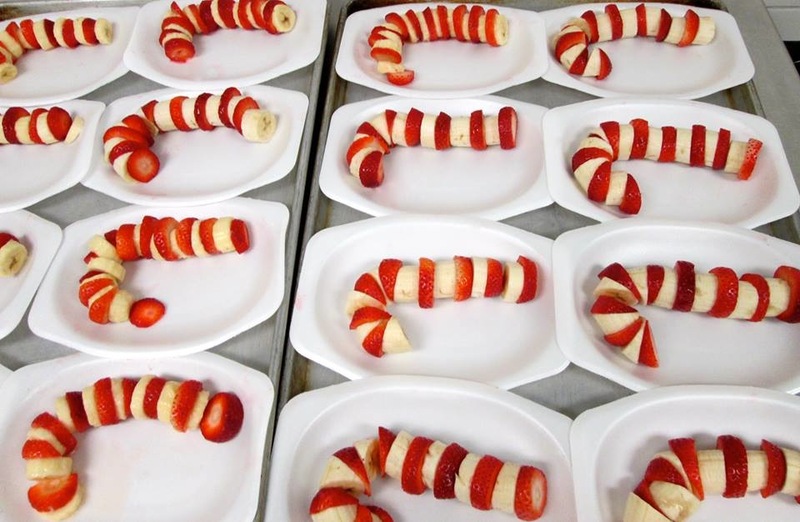 These non-candy canes are just slices of banana and strawberries. 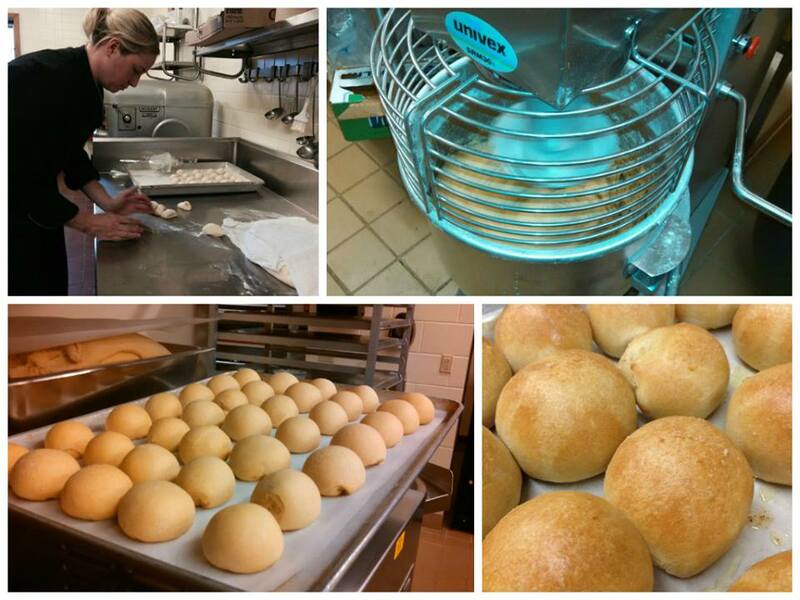 If you staff is stretched too thin to make them for a hundred breakfasts, you can make just a few to decorate the line. And, what’s not to love about a Grinch Kebob? Again, with limited staff time, consider asking some volunteers to help you make some Fruit Grinches – maybe a high school club or FACS class. Or perhaps your PTA/PTO or other parent group? Concerned about sticks with small children? No worries – use a plastic straw or stir stick! So, our holiday food art tip is simple: Follow the award-winning ITSMeals at Provo school District on Facebook and Pinterest. We are easier to see what their talented staff comes up with these year!